Full of traditions like the cake cutting ceremony and the reading of the Marine Corps Order 47, Marine Balls are beautiful formal celebrations. Our Marine Ball dresses are sure to captivate everyone's attention. Customarily, if attending a Marine or Military Ball your formal gown has to be either blue, red, or neutral colors like gold, black and white. We offer numerous styles to ensure you have the best Marine Ball dress while feeling comfortable, confident, and classy. 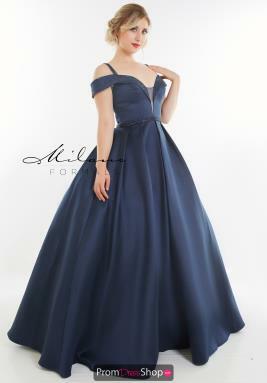 Choose from stunning a-line marine ball gowns with regal high necklines that will have you walking in with confidence, strapless satin mermaid dresses with the ever popular sweetheart neckline great for accentuating all your curves, or be simple and demure in a floor sweeping chiffon gown with minimal embellishments. Take advantage of the formality and opt for a black fitted jersey gown with a dramatic train or a fully lace form fitting gown.